In addition to KIRO, Cox may sell stations based in cities including Boston, Orlando and Charlotte, North Carolina. Together, they reach more than 31 million viewers, the company said. Cox Enterprises has no immediate plans for the other parts of the portfolio, it added. KIRO has operated in Seattle for 60 years. Much like other media outlets that have undergone changes in ownership, the prospect brings uncertainty to the station’s future, namely editorial direction and staff size. In 2013, Maryland-based Sinclair Broadcast Group bought Seattle’s KOMO in their $373-million acquisition of Seattle-based Fisher Communications. 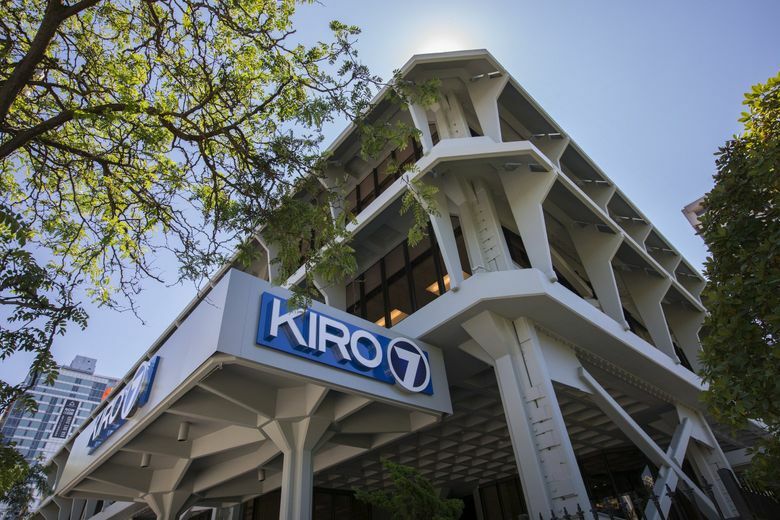 Since the sale, KOMO journalists said they have been frustrated with the right-leaning nature of Sinclair’s mandated programming. The FCC voted 3-2 to loosen rules around local media ownership in November 2017, enabling media conglomerates to own broadcast stations and newspapers in the same market. “Broadcasters and local newspapers will at last be given a greater opportunity to compete and thrive in the vibrant and fast-changing media marketplace,” the FCC wrote in a notice. Proponents of the FCC decision view it as an opportunity for broadcast stations and newspapers to compete with internet companies for advertising dollars. Critics are worried that increased consolidation will curb competition and diverse perspectives in local markets because recent sales of media outlets have been accompanied by significant staff cuts. Bruce Pinkleton, dean of the Edward R. Murrow College of Communication at Washington State University, said that while he sympathizes with news outlets struggling under financial pressures, he is concerned about the consequences that consolidation could bear on local journalism. He cited a decision by the New York Daily News on Monday to lay off half its editorial staff as one example. Tronc bought the nearly century-old newspaper from billionaire Mort Zuckerman in September.